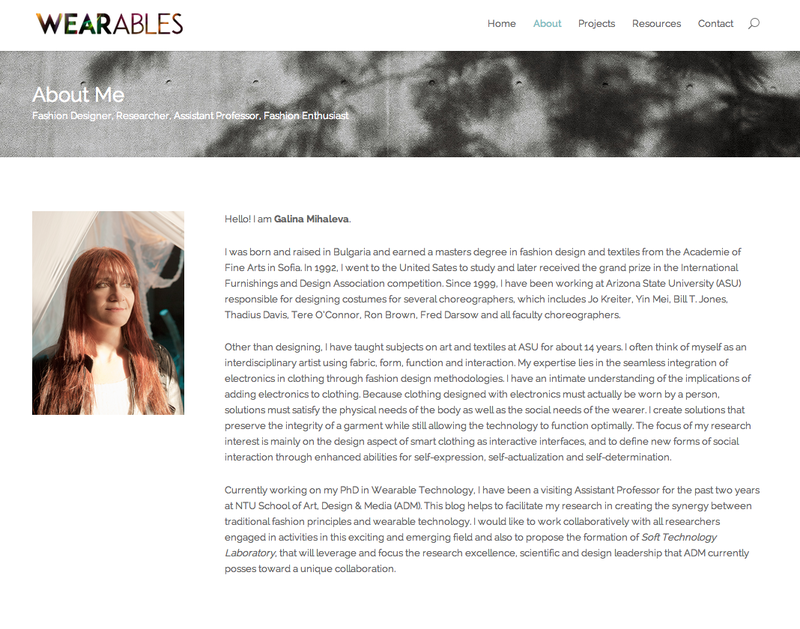 The Wearables project captures the works and research output of Assistant Professor Galina Mihaleva from the School of Art, Design and Media (ADM). 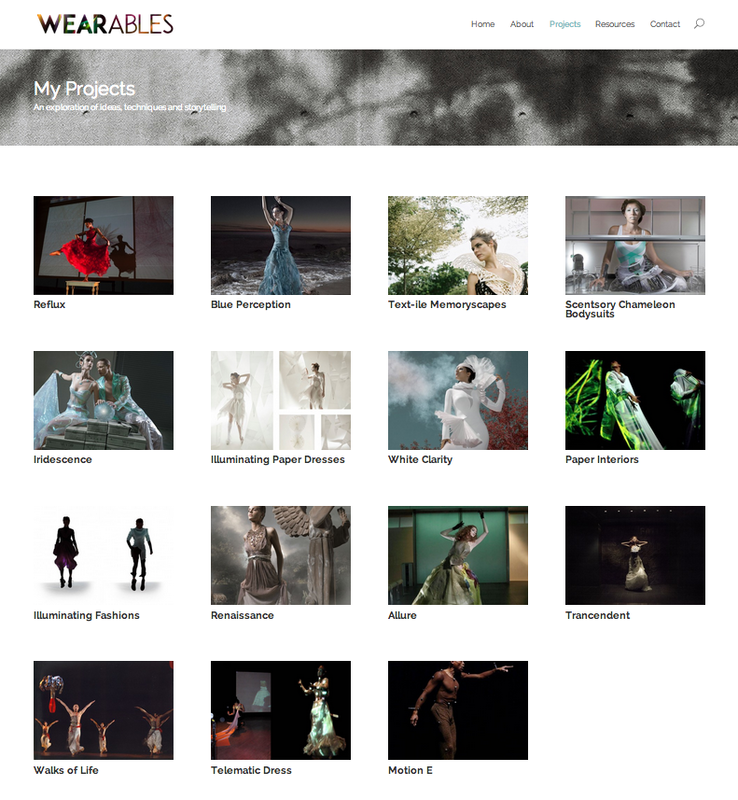 Galina’s expertise lies in creating solutions that merges functionality of a garment with technology and creating synergy between traditional fashion principles and wearable technology. 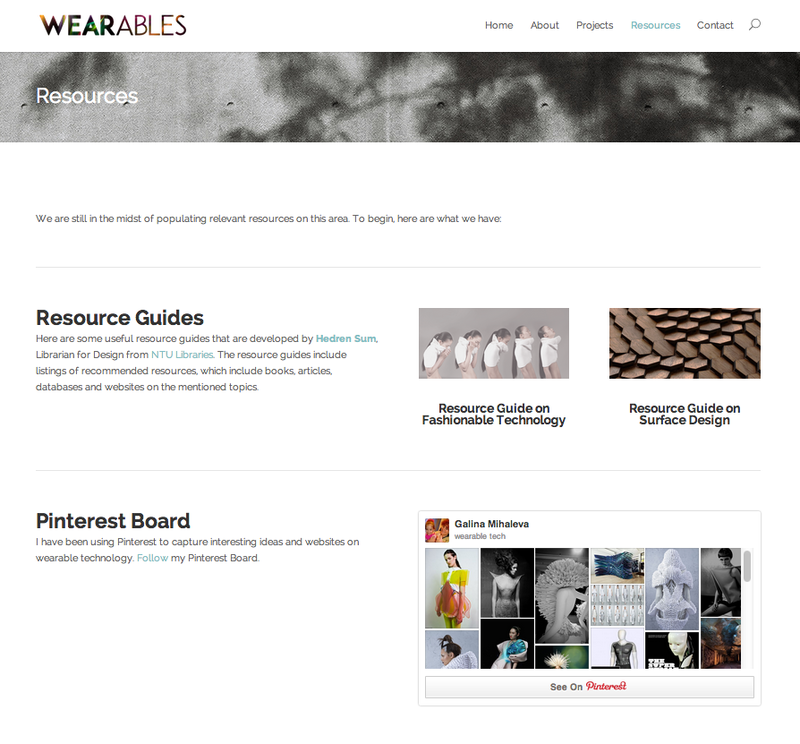 This blog facilitates the communication of her research and the building of an online community for wearable technology.